The N. C. Department of Transportation (NCDOT) and the City of Raleigh will hold an informal public meeting regarding the proposed replacement of two bridges on Capital Boulevard at Peace Street and Wade Avenue. The bridge replacement project is a catalyst for other major improvements to the Capital Boulevard Corridor, the most travelled gateway into Downtown Raleigh. The public meeting will take place on Thursday Aug 18 from 5 to 7 p.m. in the Borden Building at Fred Fletcher Park, 820 Clay St. The purpose of this meeting is for NCDOT representatives to present the final design, discuss expected effects on traffic during construction, and answer questions regarding this project. 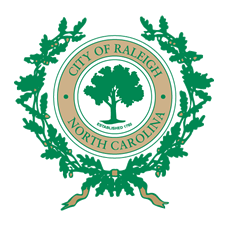 City of Raleigh staff will be present to provide information on the implementation of the Capital Boulevard Corridor Study, which will happen alongside the bridge replacement project. Improvements to the area include: replacement to the water and sewer lines, greenway extension, stream restoration, bike and pedestrian accommodations, future site for Devereux Meadows Park, a planted medium and removal of the “jersey style” barrier. Interested citizens may attend at any time during the meeting hours. There will be no formal presentation. Project maps are available online at http://www.ncdot.gov/projects/publicmeetings/. For additional information, contact David Moore, NCDOT Division 5 Resident Engineer, at 1573 Mail Service Center, Raleigh, NC 27699-1573; by phone at 919 250-4202; or by email at dbmoore@ncdot.gov. More project information is available on the City of Raleigh’s website at www.raleighnc.gov. Type “ Capital Boulevard” in the search engine.